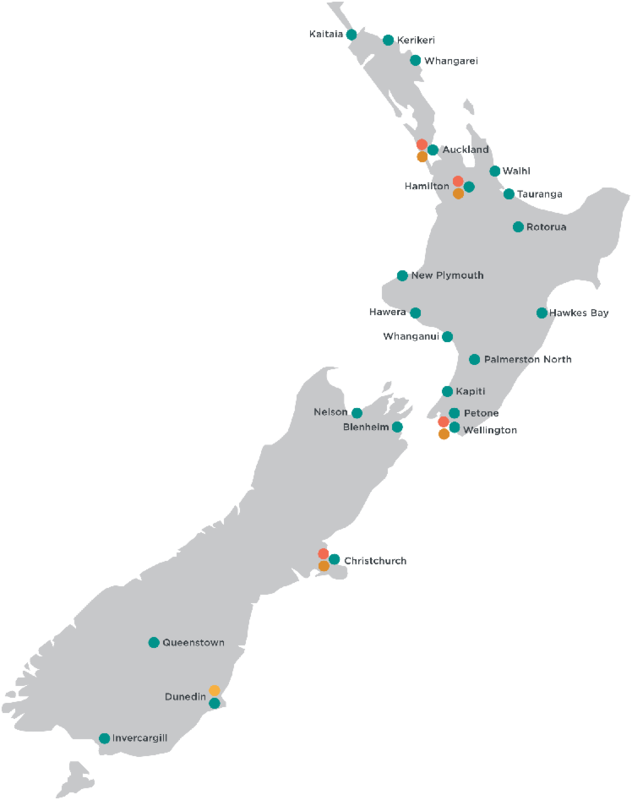 AWF, through its various trading divisions (see below) provides semi-skilled and skilled staff to all manner of industry in New Zealand, on both short and long term assignments, in addition to placing permanent blue collar/trades staff. Their national representation network means that they can almost guarantee they will be able to provide both temporary and permanent workers to your business when you require them. Their staff are employed by almost all of the major international producers in New Zealand. To demonstrate their support for UBT, AWF have made a generous donation to our education program, so now it’s your opportunity to return that support by contacting AWF to find out how they can assist you with your extra staff or labour requirements. AWF provides semi-skilled and skilled staff to all manner of industry on both short and long term assignments. All over New Zealand you’ll see AWF staff supporting industry by constructing commercial buildings, managing traffic control, operating heavy equipment, working in warehousing and manufacturing for iconic brands, and a host of other roles. Whether you need additional workers to cover seasonal peaks, new projects, absenteeism or simply growth, AWF will provide you will fully vetted staff who will demonstrate commitment, reliability and enthusiasm to work. Health and Safety is the number one priority and AWF have a zero harm culture. As such, AWF have implemented the most rigorous and robust health and safety processes from pre-employment screening checks to ongoing site audits, toolbox talks and branch audits to ensure compliance with health and safety policies. AWF are committed to providing reliable, well trained people to make sure they not only meet market needs, but also give the best opportunity for communities to thrive. Within AWF there are specialist recruiters who focus on providing a permanent recruitment solution whereby you are the employer. Make sure you mention you are a UBT member in order to generate the rebate for all temporary placements!